Used 2014 Ford Econoline E-350 XLT Super Duty Extended for Sale in Charlotte NC 28213 Carolina Rent A Car, Inc. 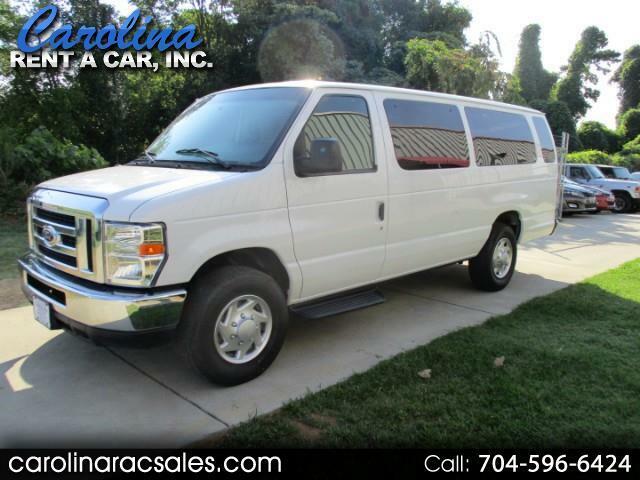 Very nice Ford E-350 XLT Extended Wagon (15 Passenger Van) with clean Title and CARFAX located in Charlotte NC. One previous owner! We have all service records on this van since 7,734 miles. Van has lots of equipment including brand new carpet, factory tow hitch with wiring, power windows, power locks, front and rear A/C, am/fm/cd player, back up camera, back up sonar, keyless entry, privacy glass, cruise control, tilt steering and much more. Seats are in great shape with no stains or tears. All A/C vents are in place and there are no missing interior parts. Full size spare tire and all tools are present. Serving the Charlotte area and beyond for over 20 years. We can assist with transportation if needed or can arrange to pick you up from Charlotte or Concord airports. Call John at 704-596-6424 to see this xtra nice van.